A bench of Justices A K Sikri and S Abdul Nazeer is slated to hear the appeals filed by Rahul Gandhi, Sonia Gandhi and veteran Congress leader Oscar Fernandes, who have challenged the September 10 verdict of the high court. 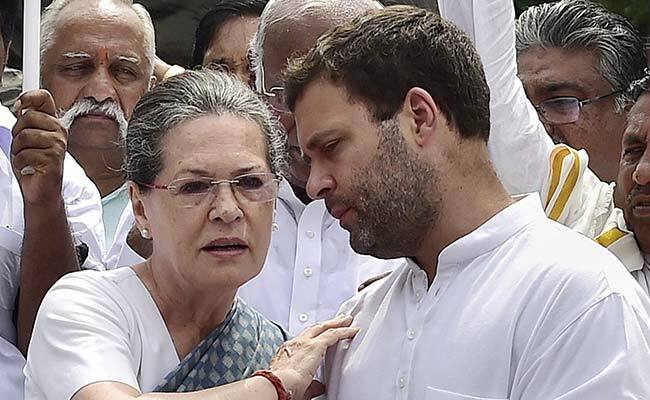 The Supreme Court is scheduled to hear on Tuesday the petitions filed by Congress President Rahul Gandhi and his mother Sonia Gandhi challenging the Delhi High Court order refusing to give them relief in a case of re-opening of their tax assessments for 2011-12. Income Tax department has already filed a caveat in the apex court that it should be heard in case any appeal is filed against the high court order. A caveat is a legal procedure by which an application is filed by any party to the litigation to pre-empt an ex-parte order. On September 10, Gandhis had failed to get any relief from the High Court which dismissed their challenge on reopening of their tax assessments for 2011-12. Denial of any relief by the high court had paved the way for the Income Tax Department to scrutinise Congress leaders records for the assessment year 2011-12. "...The assessees' rights to urge them are reserved in the income tax proceedings," the high court had said, while "dismissing" the three separate petitions filed by Gandhis and Fernandes, which were decided through a common order. The income tax probe against the Congress leaders has arisen from the investigation into the private criminal complaint filed by a BJP leader before a trial court in connection with the National Herald case, in which the trio are out on bail. Sonia Gandhi and Rahul Gandhi were granted bail in the case by the trial court on December 19, 2015.